This teak serving tray is crafted from durable plantation teak for long life and features crossed slats for aesthetic appeal. 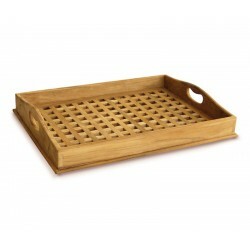 This teak tray makes serving any drinks or afternoon tea easy! 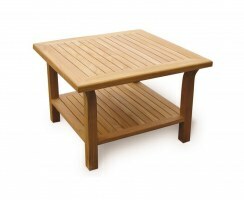 This teak serving tray is manufactured from durable plantation teak for long life and great looks. 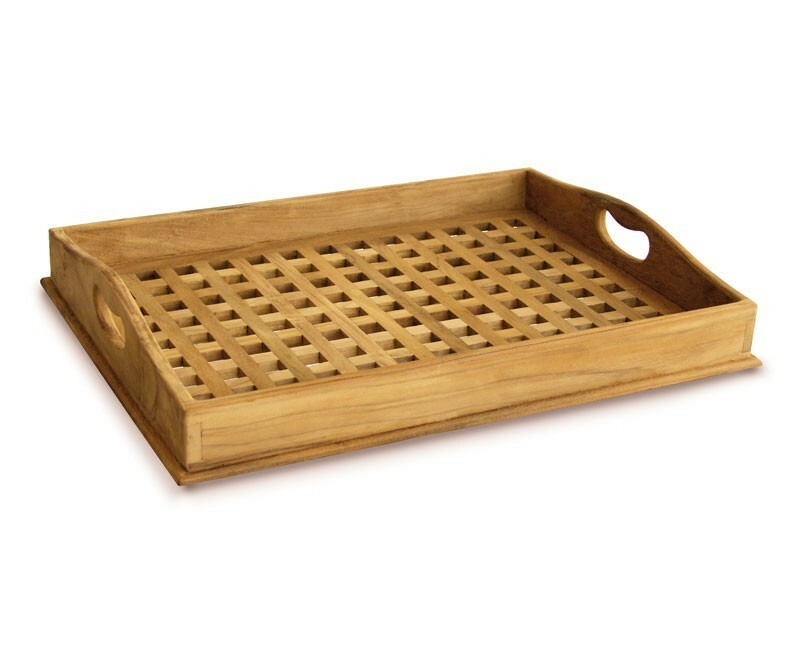 This teak tray is ideal for serving drinks or afternoon tea on summer days, and it makes for a unique gift idea for housewarmings, anniversaries and so on. This outdoor tray features crossed slats for quirky style and aesthetic appeal, with ergonomic handles with a radial edge for your comfort.